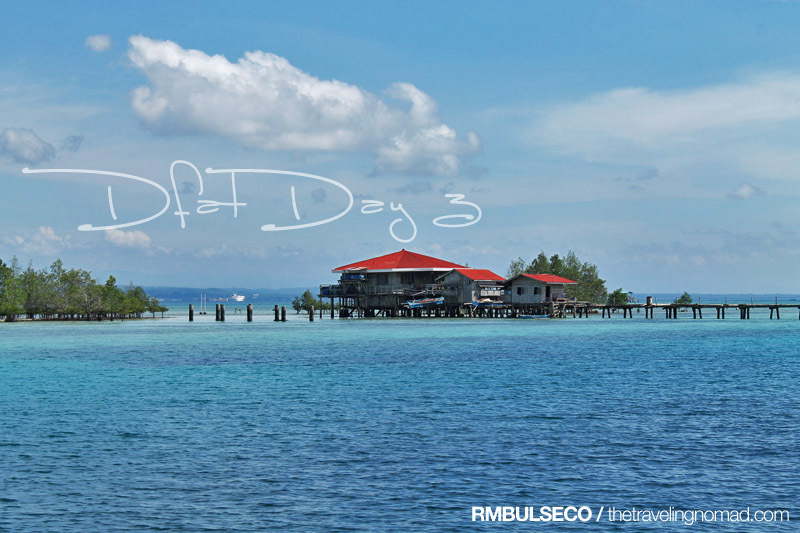 After eating a hearty breakfast at TAPS, we made our way to Lanang and boarded a boat for our whole day island-hopping tour c/o Island Banca Cruises Davao. Vanishing Island literally vanishes during high tide but magically (lol magically talaga?) reappears during low tide. After our boat docked near the island, we hurriedly changed our clothes and swam on the cool blue water of Davao Gulf but we were a bit careful as we made our way to the island - there were lots of sea urchins and other marine creatures lurking beneath the water. We also visited the Coral Garden near Talikud Island and Babu Santa Resort. All we did was to swim, eat, chika, chill, drink BJ (as in... buko juice), nap and eat again. We also have this sport too! Parasailing! 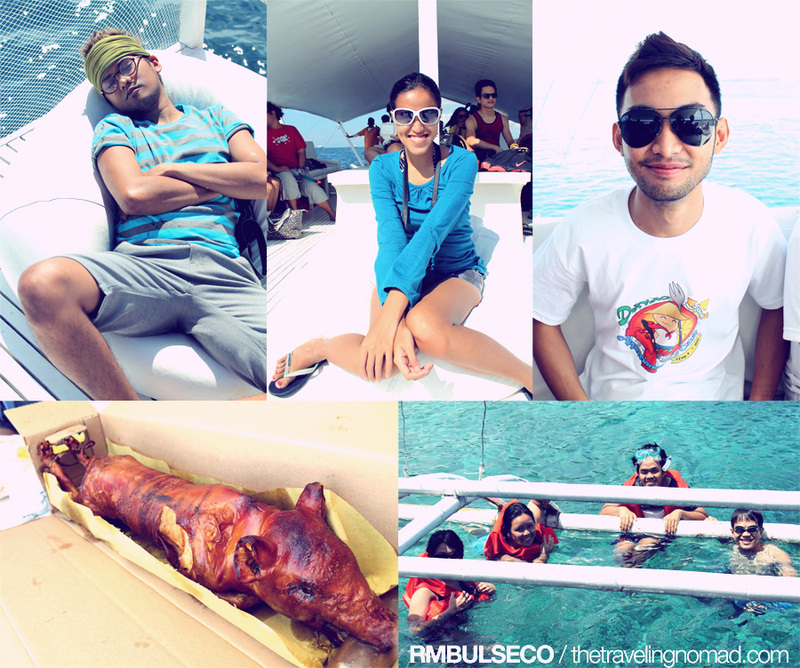 Thank you Island Banca Cruises Davao and Kuya Orman for the lechon! 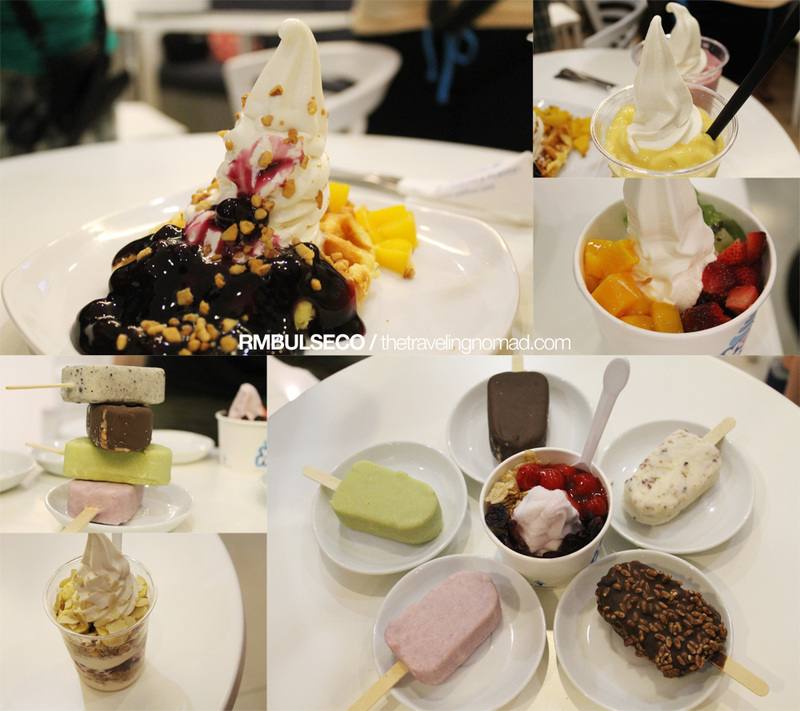 We ate dinner at Crepelato Gelato located at the ground floor of NCCC Mall. Aside from their crepes and gelato, they offer great tasting food perfect for lunch, merienda or dinner. 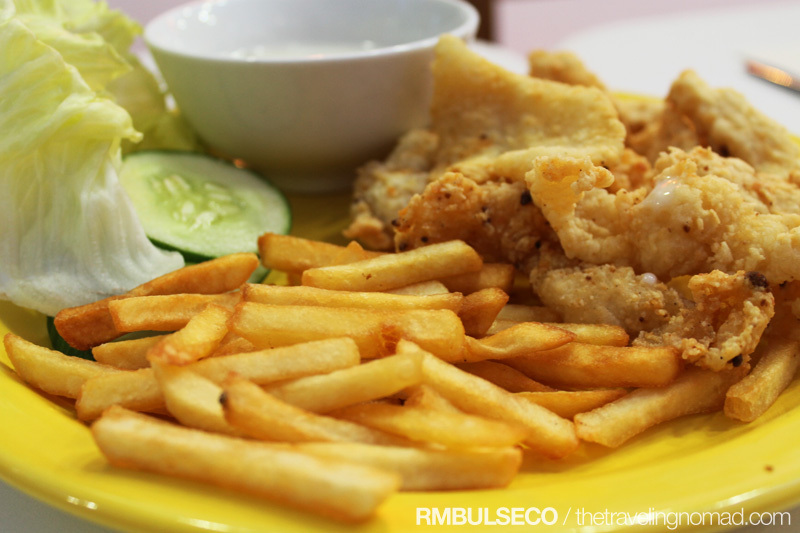 We tried their Fish N' Chips, Pork Chop with vegetables and my ultimate favorite, Sanghon. Sanghon is not your ordinary pancit. 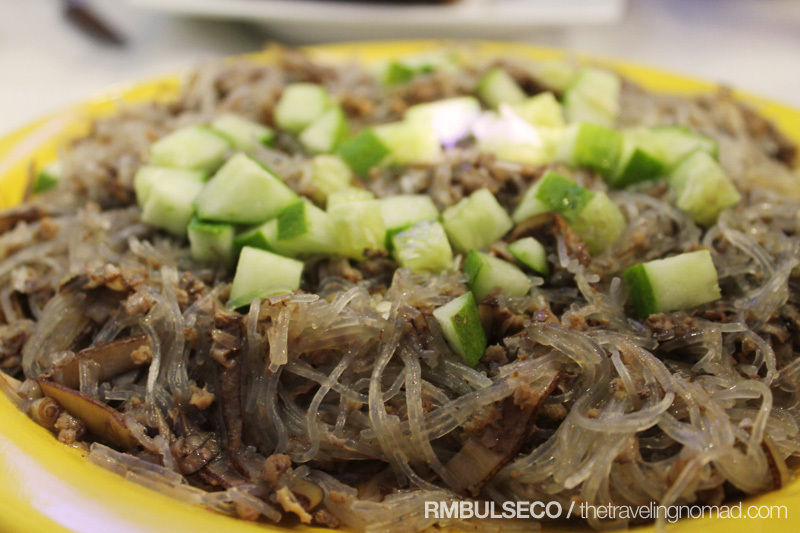 It's made up of sotanghon noodles with banana blossom and cucumber that served as the meal's garnish. It's so unique that I instantly fell in love with it! Nomnomnom.com! And for our dessert, we went to YohFroz, one of Davao's famous yoghurt houses. Yoghurt is a dairy product produced by bacterial fermentation of milk. The bacteria used to make yogurt are known as "yogurt cultures". Fermentation of lactose by these bacteria produces lactic acid, which acts on milk protein to give yogurt its texture and its characteristic tang. Worldwide, cow's milk is most commonly used to make yogurt, but milk from water buffalo, goats, ewes, mares, camels, and yaks is also used in various parts of the world. Dairy yogurt is produced using a culture of Lactobacillus delbrueckii subsp. bulgaricus and Streptococcus salivarius subsp. thermophilus bacteria. In addition, other lactobacilli and bifidobacteria are also sometimes added during or after culturing yogurt. There are so many ways to prepare yoghurt! On a stick, on top of a warm belgian waffle, in a fully loaded yohgurt parfait, inside a delectable mochi or just the way it is! We surely had a long day but we definitely had fun! Revelation talaga yung Sanghon ng Crepelato waaah i miss it! hmp. hindi naman nagpasalamat sa GandaEverSoMuch.com para sa lechon! Samal Island is one of the beautiful places in Davao City. Although it there are many tourists who come to this place like in Boracay, Samal remained its beauty through pristine aquamarine waters and plain white sand. a full day of fun under the sun! I'd love to try sanghon.. pansit you say? is it like short cut of sotanghon? I've seen a lot of photos taken by my fellow photographers in Samal Island. I hope I can visit this beautiful island too in the near future. Samal Island in Davao is so beautiful with the clear waters and nice sceneries. Samal is a nice place to visit. Samal is ♥! the beach, the water activities, the food... Haaaay simply an instant fun! My firend told me about samal but didn't realize that it's very pretty. I love to try the pancit there and of course yoghurt i can eat it all day. wow, you're here in davao... glad you enjoyed your stay. tagal na rin akong di nkabalik sa vanishing island, glad you shared some pics. 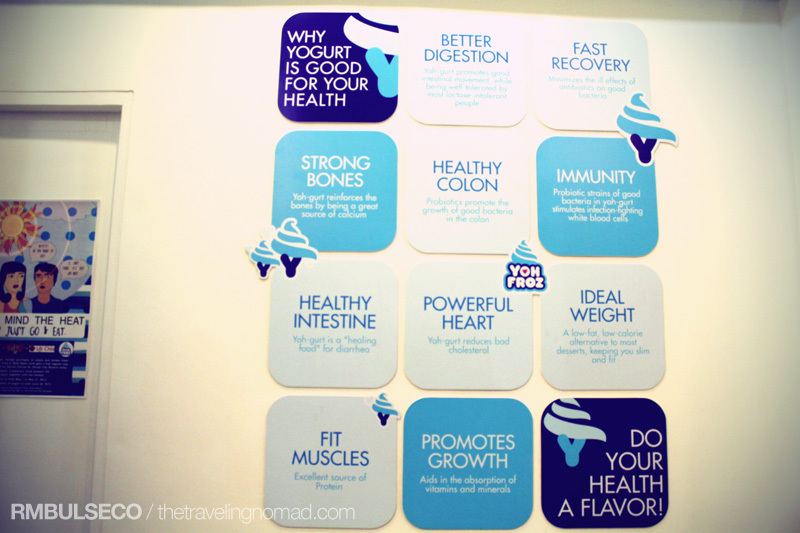 nice info about yoghurt, dami pala nyang good bacteria. thanks. Yahweh bless. Samal Island has so many things to offer. Beautiful and amazing place talaga. HEY EVERYONE! Thanks for your comments! Really appreciate it. Great place and yummy foods! It make me think to also visit there one of these days. thanks for the share! WOW. Ako na ang naglalaway sa ganitong oras sa lechon at yogurt. pero i'm envying the blue-green water. huhu. Maybe I should start planning a trip here.. 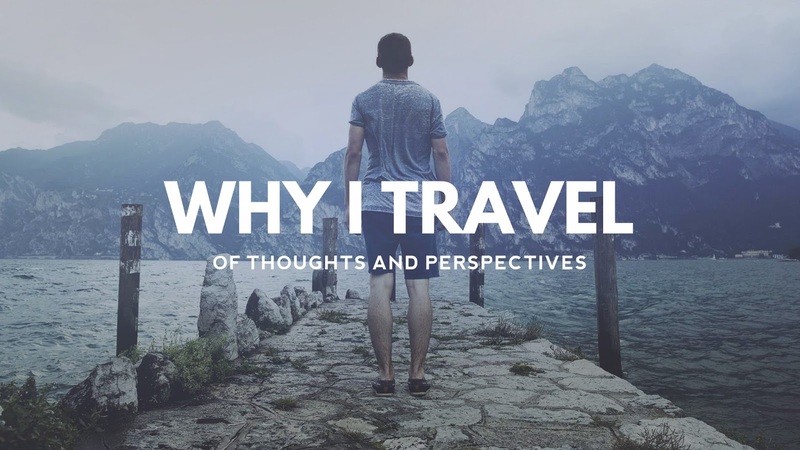 I am starting a new travel blog with a friend and your blog is such an inspiration. Yay! I am enjoying your blog right now! Wow. You've toured Samal Island. I great up in Davao City [oh.. you're from DC, too!] and yet, I have only been to Paradise Island two or three times. *inggit mode* ... and well, only did swimming and a bit of camwhoring .... haha! Parasailing looks awesome as always. Wish to do that one day! kelan kaya ako makakauwi ng Davao. I so miss Davao! Dream Desti ko ang Samal Island...hehehe.. 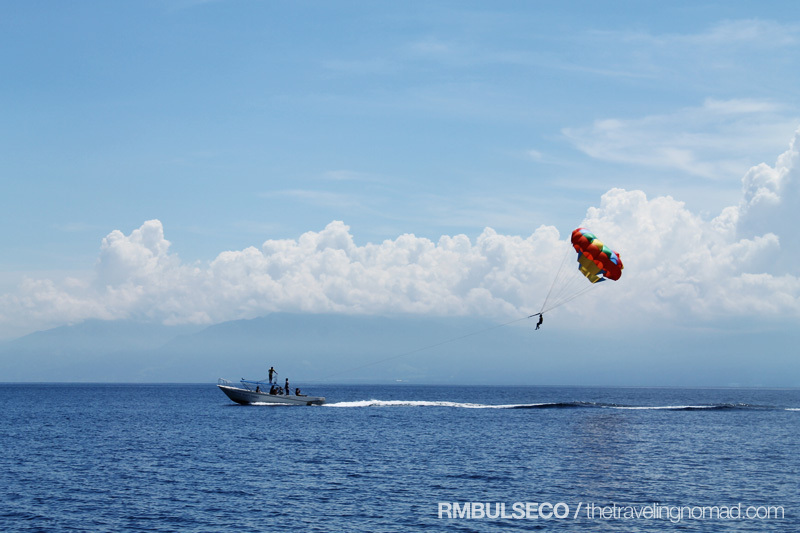 I wanna try that parasailing too. Wanted to do it the last time I was in Boracay but never pushed through. 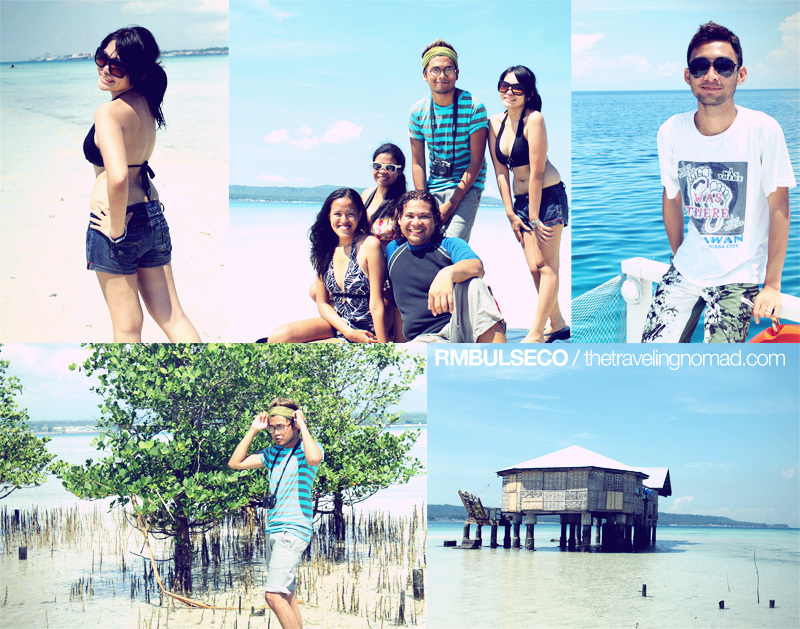 your friends enjoy the stay to Samal. How I wish I can visit Davao someday. 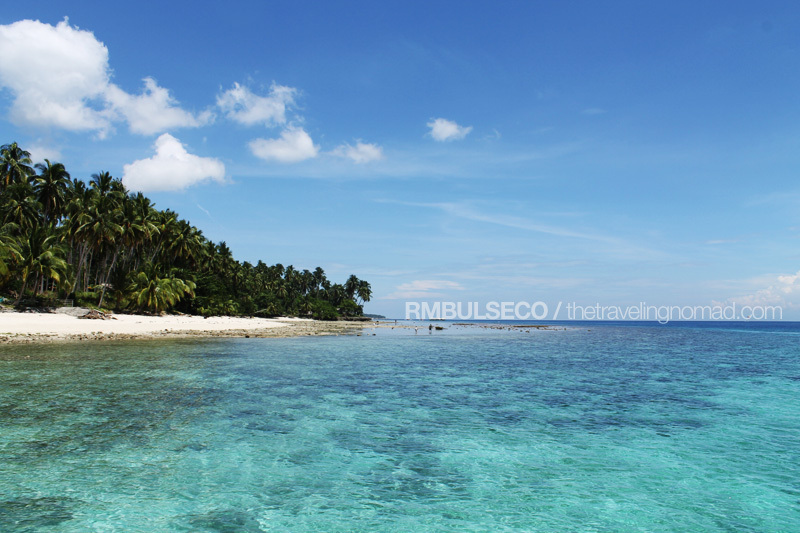 wow, here only i see beautiful pictures of samal island ! thanks for sharing and inggit na ko ! pati sa "sweets"